Too and Enough indicate degree. They are used with adjectives. Too means more than what is need. 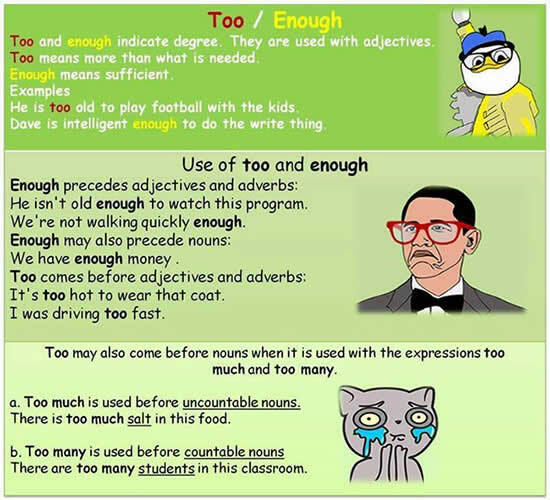 Enough means sufficient.